PP3 Battery Holder With 15cm leads. 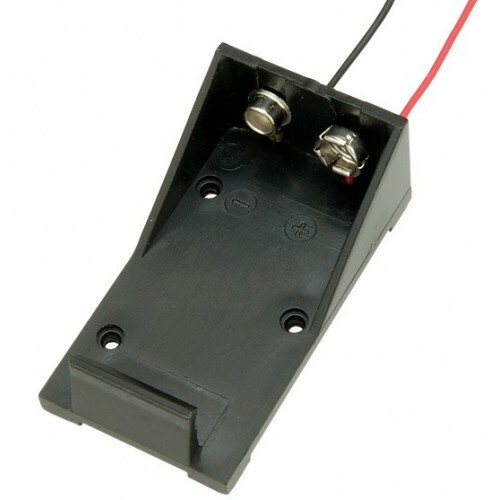 Made from black ABS plastic this battery box has Snap-in Terminals to ensure a positive contact and correct polarity. Positive and Negative terminals are clearly marked.